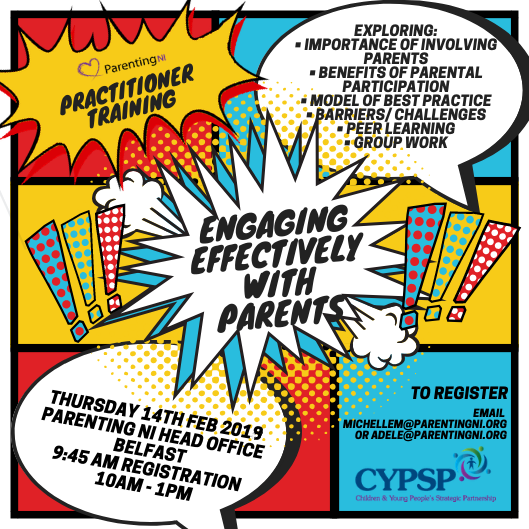 Parenting NI are offering Practitioner Training. The training aims to build capacity and further enhance existing skills of practitioners to equip them with the skills to support parents and families. This entry was posted in News, Parenting NI, Parents and tagged news/events, Parenting NI, Parents by Michael. Bookmark the permalink.